This entry was posted in Australia Immigration Visa Immigration News and tagged job opportunities in Australia on August 24, 2013 by Blog Author. Australia is extremely dense. The country is full of wealth and opportunities. The property market in Australia is highly beneficial. The value of home or investment property is fairly decent. 1. The country’s economy is in excellent shape. Australia’s economy is the envy for most of the developed nations. Australia has gone two decades without recession. According to the Reserve Bank there is no likelihood for the next few years. In fact, the RBA believes that the exports will grow and also assumes stronger economic growth returning to Australia. 2. The population is growing in Australia. There was no discussion regarding big Australia v small Australia for some time because the countries politician recognises the importance of strong population growth to feed the economy. This will help individuals to take up the new jobs which are being created and replace the retiring baby boomers. Australia’s population has increased by 400,000 in last year. This is like adding another Canberra or Newcastle. There are excellent job opportunities in Australia for immigrants. The majority of people have moved to Australia’s four capital cities because that’s where the jobs are. You will find that most of the immigrants want to live in many of the suburbs. If you aspire to migrate to Australia for a job opportunity, you will have to obtain a Work Visa. Applying for a visa with the help of professional immigration counsellor is advisable. MoreVisas is the best immigration and visa counsellor. Their expert immigration and visa counsellors will provide complete guidance in the documentation process for securing a work visa. 3. Australia is a wealthy nation. By many measures, the country is extremely wealthy. This was confirmed in the Credit Suisse 2012 Global Wealth Report which stated that Australians are now comfortably the richest population in the world with median wealth of US$194,000 per adult. Interestingly, the report also stated that the Australians comprised some 1,571,000 people in the top 1% of the planet’s wealthiest people. To be in the world’s top 1% you need a net worth of US$710,000, and if a person has net assets of over US$71,000, he/she in the richest 10% of global wealth holders. 4. Household finances for Australia are in sound shape. Rather than spending money, over the last few years most of the Australians have been covering their cash. Many of them have reduced their credit card debts while others are saving and have taken advantage of low interest rates to pay down their home loans. There has been strong gain in wealth for households due to the rising stock prices on the ASX and the increased value of their homes. Their strong balance sheets will provide many Australians to increase their borrowings and get into the property market over the next years. 5. Unemployment rate is extremely low in Australia. Few of the jobs have disappeared, but additional new jobs have been created, and even though unemployment may extend over the coming months, but the overall unemployment rate is comfortable around 5.7%. When people feel confident about their jobs their positive attitude is good for consumption, good for confidence and good for investment. 6. The rate of inflation in Australia is low. This gives the Reserve Bank a chance to keep interest rates low or consider reducing them even further if needed to stimulate the economy. 7. 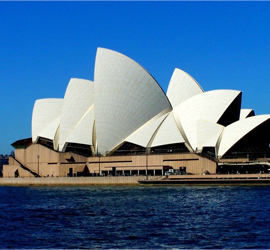 The interest rate in Australia is low and is likely to remain the same for a while. This will provide property owners to get rid of their mortgages quickly and given some who have over committed extra breathing space. 8. Housing affordability is high in Australia. A number of measures show that purchasing a home is extremely affordable. 9. Consumer is extremely confident in picking up goods from Australia. Consumer opinion is the key missing ingredient over the last few years. This has been fragile over the past few months. Most of us are optimistic than pessimistic according to the latest Westpac Melbourne Institute measure of confidence. 10. The bad news which is around, the world is decreasing. The world’s problems have not gone away; many of the fears that have plagued Australia over the last few years are subsiding. When talking about the US economy, it is also picking up and did not fall off the fiscal cliff like everyone had expected. This results on job opportunities in the US. Immigrants are also looking for job opportunities in the US. The Australian property markets will continue to improve. The property market here is a combination of strong population growth, low interest rates, affordability, job security and rising rentals. With this combination, many people will get involved in purchasing properties in the current year.